HAVE YOU HEARD? – the Canada-Alberta Job Grant can help fund your training for eligible employees? Contact us for the event specific pre-filled out application form for the Job Grant and we will help you; the process is simple and quick. This course is Canada-Alberta Job Grant approved for eligible employees and makes becoming an accredited Partnership Broker completely affordable. Membership Button for ECVO Members. Are you an ECVO Member? 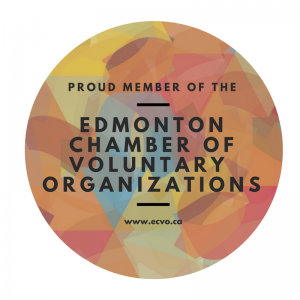 We have created an ECVO membership button for you to display on your website! ECVO members are a collective voice working together to empower, strengthen and sustain the regions nonprofit sector. By placing this button on your website, you’re proudly showcasing your membership to the largest nonprofit network in Edmonton. If you’re not a member yet, sign up now! Not only will you be a part of this nonprofit collective, there are a number of perks and discounts that come with joining, too. It can be said that partnering creates a whole that is significantly greater than the sum of the individual parts, and in the process builds greater value than any one partner could achieve on their own. But what does it take to make a partnership successful? What makes some partnership successful and others not? And why is partnership broker training critical to the success of any partnership? Is partnering the right approach? Is the timing right?Upon deciding to undertake a new partnership, intuition and foresight are required to discern when the circumstances and context are right—and to say no when they are not! Partnering is about allocating individual talent in order to maximize collective potential. In the early stages of Apple, Steve jobs handled marketing while his partner, Steve Wozniak, dealt with the technical processes, showing how, when facilitated correctly, partnerships bring out the best qualities in each of its members. This is far more than a training course, it is a vehicle for building a local and global community of practitioners that are already playing a significant part in improving and scaling multi-stakeholder partnerships and non-traditional collaboration worldwide. It will provide links to regional/national networks of partnership brokers and gives access to further resources and professional development. The Partnership Broker Training course is offered by the Partnership Brokers Association in collaboration with JS Daw & Associates. It is being held this October 3 – 6, 2017 in Edmonton.